The day is finally here! It’s the day where I post something up about Jack Frost 2: Revenge Of The Killer Snowman. Yes, as if one killer snowman movie wasn’t enough – in the year 2000 they done went and made a sequel. And it was equally as terrible as the first. Congrats on that. But this is about Ebay horror finds of the week, so feast your eyes upon this! Having trouble finding the right way to decorate your Christmas tree this year? No problem! Call our favorite straight-to-DVD homicidal snowman, Jack Frost, and he’ll help you out! Welcome to another edition of Sunday Bloody Sunday where I give to you, usually in Youtube form, some of my favorite death scenes from horror movies past and present. 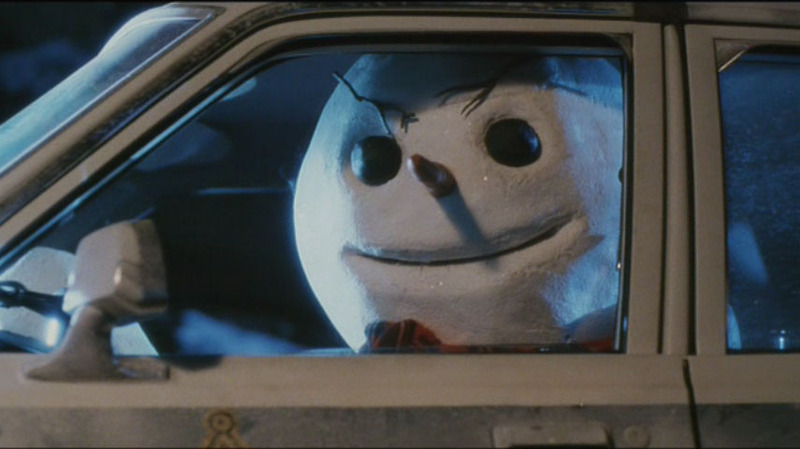 And to keep the Yuletide mood going, I wanted to revisit 1997’s killer snowman cheesefest, Jack Frost. Most known probably for the random Shannon Elizabeth cameo where she pretty much gets raped in the bathtub by ol’ Frosty, I wanted to spotlight another scene where a woman meets her untimely and rather festive death by way of Christmas ornaments and lights. He is creative, I’ll give him that. Obviously a movie that falls into the horror/comedy category, Jack Frost deserves to be viewed this holiday season, preferably while being completely drunk or stoned. And here’s a fun fact: this movie came out a year before that equally creepy Michael Keaton movie with the same name. 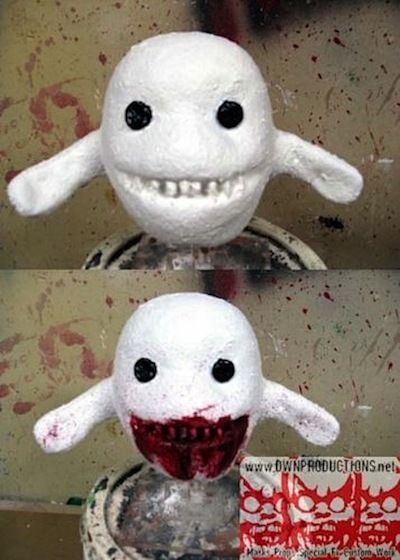 Good to know that a maniacal snowman could pave the way for other talking snowmen in film. Salute!